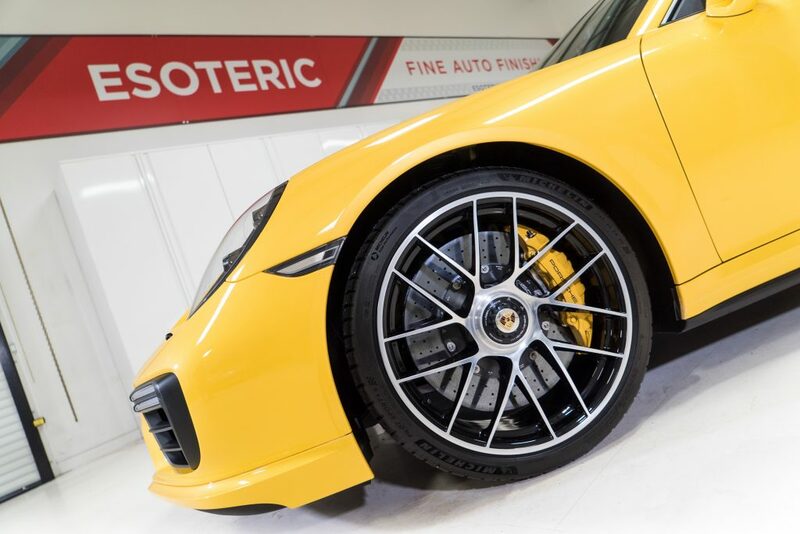 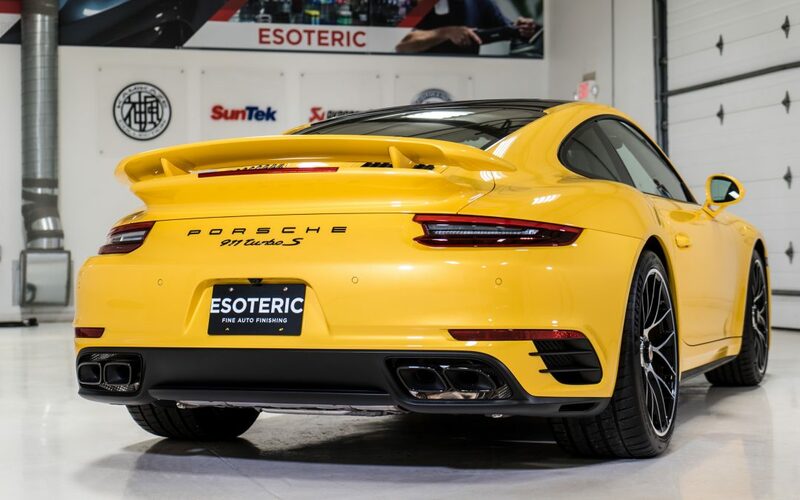 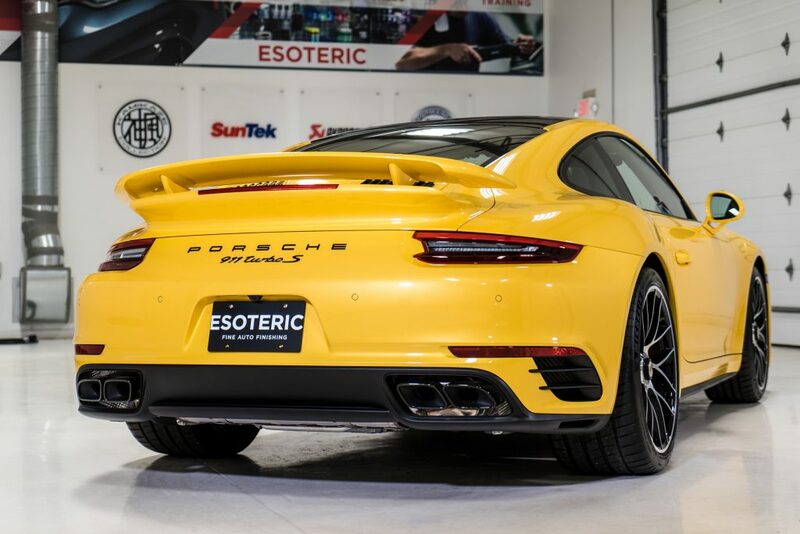 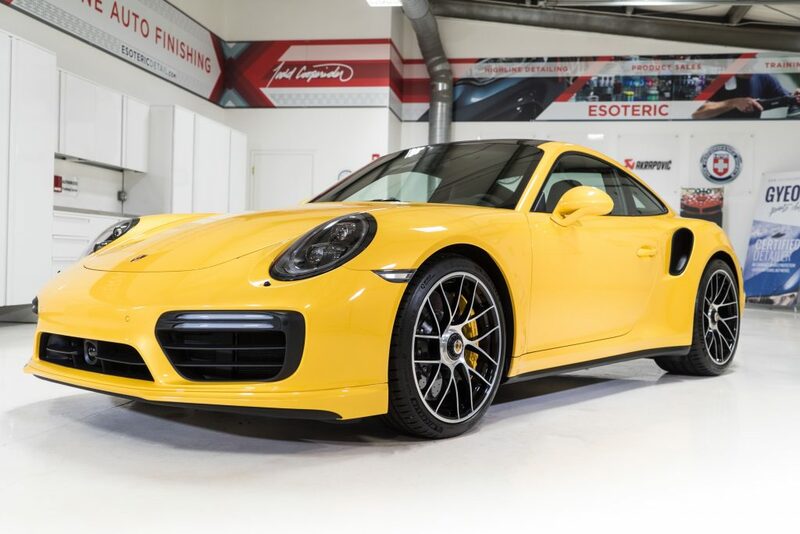 This Paint to Sample Saffron Yellow Metallic Porsche Turbo S full wrap project was recently completed at ESOTERIC! 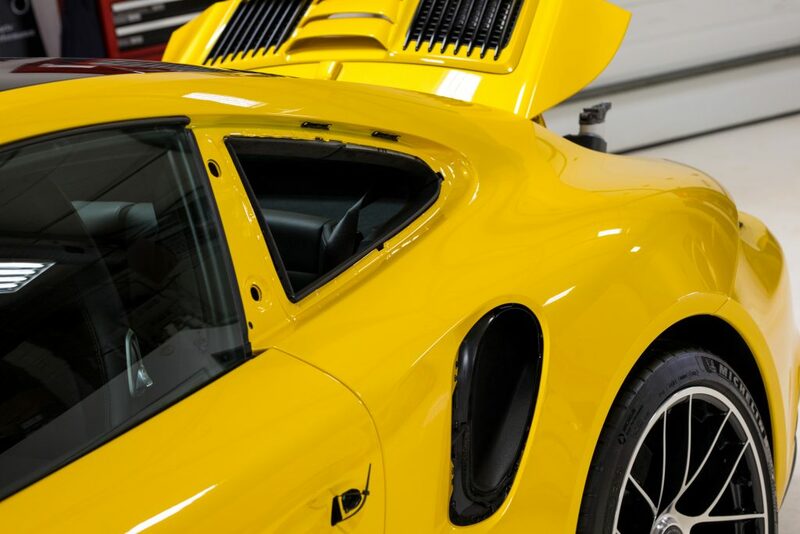 A great deal of disassembly took place to produce the most seamless paint protection film (clear bra) install possible. 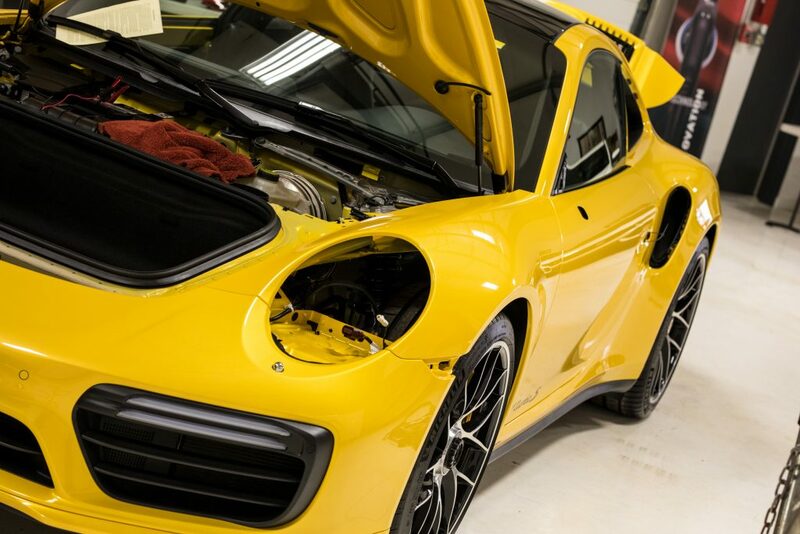 This may be one of the most disassembled Porsche’s (or any) vehicle for a PPF install. 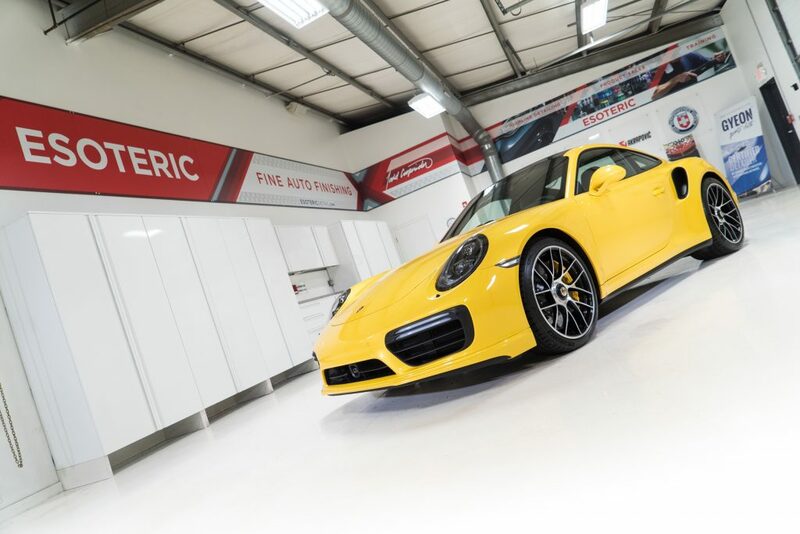 We are continuously improving our installation techniques and disassembly when possible is a large factor in the final result.